Part of the motivation behind creating Portfolio Analytics was through feedback from our members. Often times individuals who were well versed and happy to manage their own portfolio or simply wanted to follow along with what their advisor was doing, had no way to see what they actually held in the portfolio and what it meant. For those with knowledge of Microsoft Excel, after maybe many hours of building a spreadsheet, one might be able to track things a bit better. This, however, still requires constant updating of prices and for better or worse offered no feedback on risks the portfolio might be exposed to. 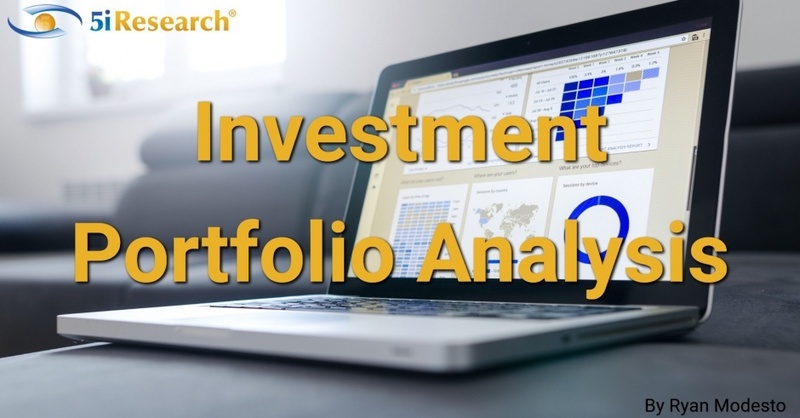 A goal of Portfolio Analytics was to eliminate this effort and offer a succinct analysis of a portfolio and the most important statistics to think about while also highlighting the risks in a portfolio an investor ma not be aware of at all. This is where the investment portfolio Summary Statistics and investment Portfolio Opportunities blossomed out of. Below are the data points that we show to members and metrics we think all investors should know about their portfolio at a minimum, regardless of whether you have an advisor or are a DIY investor. This metric is a simple backward looking calculation that looks at the previous 12-month return of the current portfolio held. It is purposefully backward looking simply because we nor anyone else can tell the future. Of course, past performance does not indicate future results but it does give some idea of potential volatility one can expect in a portfolio. Obviously, no one can predict the future and say with certainty what a portfolio will return. The general concept however, is the more risk a portfolio has, the higher returns and/or losses they can expect over the long-term. The catch here is that higher risk/returns comes with much greater volatility and is often something investors cannot handle, even if they think they can. So, an expected portfolio return that looks high might actually mean the portfolio is taking on a lot of risk, which may or may not be appropriate for the individual. Do not look at this statistic and think it means the portfolio will return that amount. It is an expression of the risk in the portfolio. To look at it another way, reverse the sign (+/-) you see in front of the number. This might be a better representation of the range of returns one can expect. 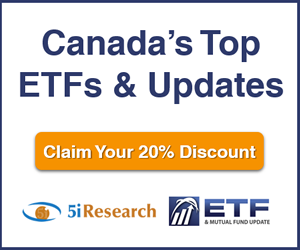 Portfolio Analytics has a number of model ETF portfolios that cater to different types of investors. These model portfolios are diversified by asset class and geography and the expected return is a function of the respective allocation. We take the expected returns from Canadian, US and International (a blend of developed and emerging markets) stock markets and weight it by the allocations in the model portfolio. So if we expect 10% from Canada and you are 50% allocated to the Canadian geography, this would equate to 0.05% of the total return expectation. All of these weights as well as expected returns from fixed income are added up to get to a final return expectation. Our suggested model portfolios attempt to narrow down an investors' style and provide a model or benchmark that may fit that investor style. This is far from perfect and we cannot stress enough how different two individuals' situations can be while having a similar financial profile. However, a return expectation that is far different from what you view yourself as a reasonable return expectation for your current portfolio might be something that highlights a potential gap in the portfolio. Are you taking on too much risk, more than you think, or not enough? Are you or the statistics missing an important detail that justifies a certain risk profile? If this is the case, it is fine, but it is important to understand where those variances come from and at least test your assumptions and allocations to ensure things are set up appropriately. This metric shows an investor what is a reasonable average return expectation over the long-term and can then rationalize that with your own goals and expectations. This calculation is fairly straightforward and simply takes the yield on all investments in the portfolio and determines the total portfolio yield in percent and dollar terms that one should expect on an annual basis. The calculation is done relative to the total portfolio value, including cash and fixed income. Believe it or not, this can be a tedious statistic to show on a total portfolio basis. Understanding the yield but also the dollar value can be very helpful with planning cash flow needs. This number is not immune to changes to dividends of the companies within an underlying portfolio of course. Portfolio Analytics also allows one to compile all family assets into a single portfolio. This makes it easier to understand what a household portfolio yields in cash flows on an annual basis. Families are essentially a single unit and we believe the finances should be viewed likewise. As one would expect, this statistic outlines how many years of spending the investment portfolio covers assuming no earnings or returns on the portfolio. If you liquidated the portfolio today, how many years could it support you? This one can sound scary but we would think of this as how big is your safety net? If employed and you lost your job, what kind of runway would you have? If in retirement, what is a baseline runway for the portfolio to support spending needs. This can also help an investor to think about the level of risk they should be taking. More of a safety net in most cases would allow for more risk to be assumed, all else equal. It also helps to provide a simple gauge on where you are at in your investment and savings journey. 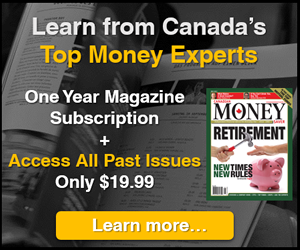 Do you need to be saving more aggressively to retire comfortably or are you on the right track? Another straightforward metric but one that is scary to consider. Nobody likes unrealized losses in a portfolio but it is a reality when investing. Returns don't come free and volatility in the short-term is the cost for long-term returns. We tend to say that if you are investing in stocks, you should expect a 10% pullback annually. If you cannot stomach this or do not accept this as a default, one might want to reevaluate their level of allocation to stocks. While saying 'I can handle a 10% pullback' is one thing, seeing it in actual dollar value is far different and can be an uncomfortable conversation to have with oneself. This metric attempts to force the conversation before it becomes an issue. One item that often gets overlooked is that as a portfolio grows, the dollar value of what a 10% pullback represents can change materially. As an example a 10% pullback on a $50,000 portfolio is much different than on a $2 million portfolio. Yes, on percent terms it is the 'same' but psychologically, these two numbers look and 'feel' very different. This nuance does not come through by simply claiming one can handle a 10% drawdown. 'Positions' refers to stocks and funds. We assume we don't need to highlight how we come to this calculation so we'll jump right into it. This can be good to think about for a few reasons. First, do you hold so many positions that the portfolio is likely closet-indexed and over-diversified, or too few that the portfolio is a bet on a single stock or industry? After answering the above question, are you then comfortable with your ability to monitor all of these positions? If it is 100 stocks, can you or your advisor effectively monitor these positions? Alternatively, with this many positions, is an advisor doing their job or spreading assets so thin that there is little benefit above a broad market ETF? This metric aligns with the one above. It is helpful at a high level to understand what the average position weight is in one's portfolio. If the weight is high, it may show that a lot of the portfolio is a bet on a few investments. If it is too low, it may indicate a portfolio is over-diversified and closet-indexed. Of course, a view needs to be tilted a little if you are strictly a fund investor. 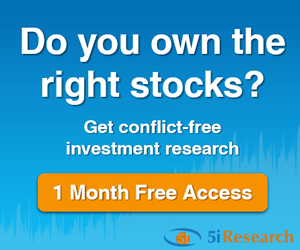 At 5i Research, we typically think a holding should be between 2.5% and 5%. Diversified funds and ETFs can be justified at far higher weightings, especially if you are a Couch Potato type of investor. We felt that these were just helpful metrics to have. It can be a hassle to do the mental math every time one is looking at their finances. This metric helps to summarize how one is doing overall on their financial journey. After answering a few questions about one's debt levels and value of real estate, Portfolio Analytics can offer a single source for tracking one's portfolio value and net worth. Instantly learn whether you're making any critical mistakes in your portfolio. Whether you’re a do-it-yourself (DIY) investor or using an advisor, how do you know if you’re taking unnecessary risks with your portfolio? With Portfolio Analytics, we’ll instantly analyze your existing portfolio and inform you of any dangers and opportunities that we see.